No, that's not my opinion of a recipe, that's the title of another book from the Abrams Dinner Party. They're sending me a whole bunch of new cookbooks at no cost to me. Wheeee! First of all, Action Bronson, the author F*ck, That's Delicious , seems to be someone famous. Apparently, I'm not quite hip enough to know who he is, but that's fine. I don't know much about most of the authors of books that I read. While this has recipes, it's not really a cookbook in the traditional sense. 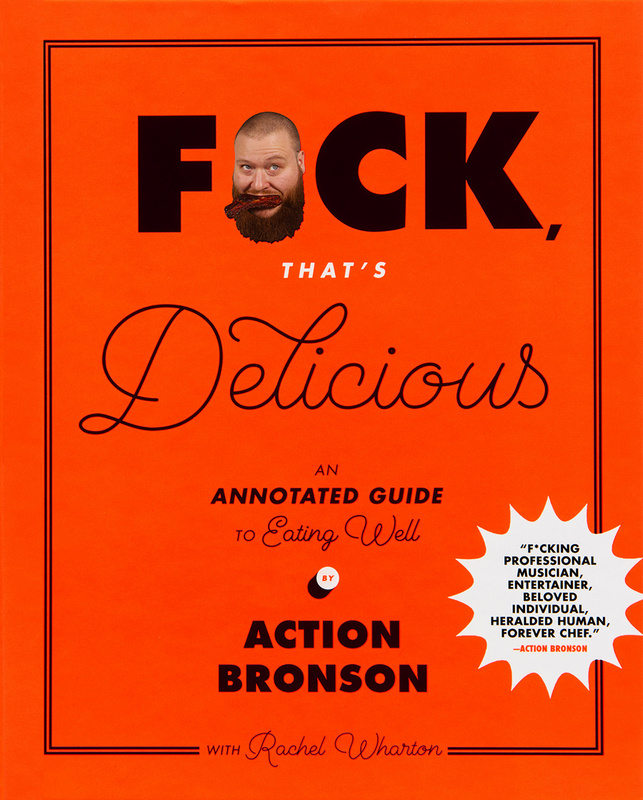 The subtitle on this one is "An Annotated Guide to Eating Well." Okay then. In this book eating well does not have anything to do with wellness, or with drinking kale smoothies, or with eating quinoa casseroles. Instead, it's about what the author likes. The blurb on the Contents page probably explains it best: "My list of one hundred amazing things - the moments that got to me, the meals I ate, the places, the people, the artifacts, and the accessories." Each of the 100 things are food related. Some are recipes, some are about restaurants or places he's had meals, and some are other reminiscences. There are some odd bits and pieces, too, like his thoughts on toothpicks or on reading while on the toilet. This is a book that's kind of hard to classify. The recipes that are included look interesting (although I'll admit that I haven't tried any of them yet) and the reading matter is certainly quirky. The language can be colorful (as you might have guessed from the title) and there's good information and even a little science thrown in. There's slangy language and there's some that's more straightforward. There's a little of everything. The one thing it isn't, is boring. If you don't like one thing you're reading, move on to the next page, where there's probably something completely different. and possibly delicious.